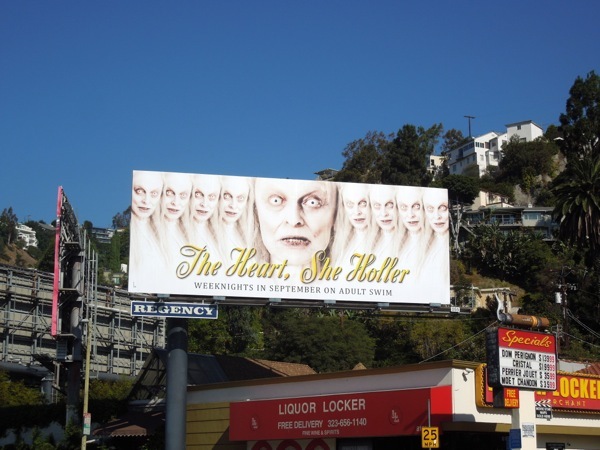 Of all the new series and returning shows this fall TV season, this eerie billboard for the sophomore season of Adult Swim's The Heart, She Holler is by far the most surreal and bizarre. This live-action Southern Gothic horror is a mix of inbred soap opera drama and politically incorrect surrealist comedy, and is certainly not for the faint of heart. 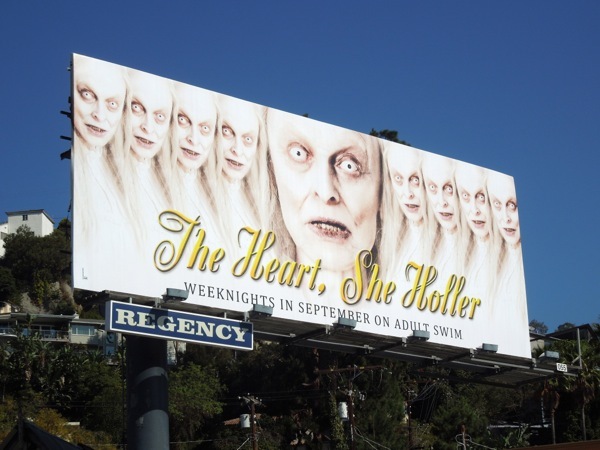 The delightful (and horrific) creature featured in this ad creative is "Meemaw" (played by Judith Anne Roberts), the matriarch of the 'Heartshe' clan and bearer of their curse, being unable to die. 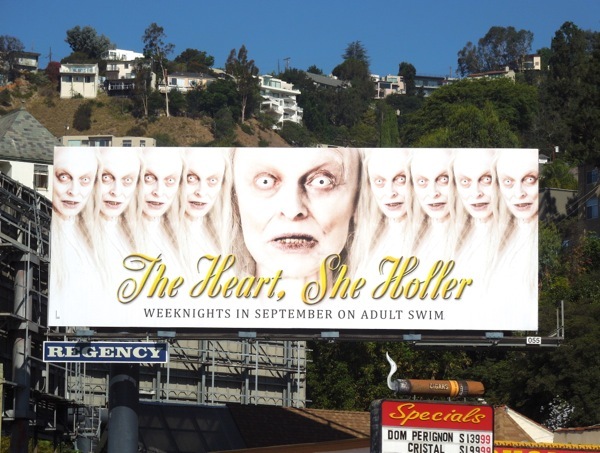 This creepy billboard for the late night series, which makes you take a second look, was spied along Sunset Boulevard on August 21, 2013.